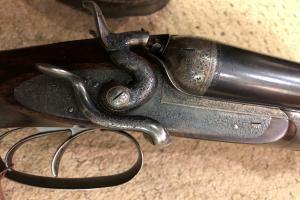 We sell singles and pairs of shotguns, both English and continental. 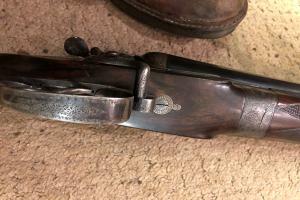 Makes include Purdey, Holland and Holland, Boss and Woodward. 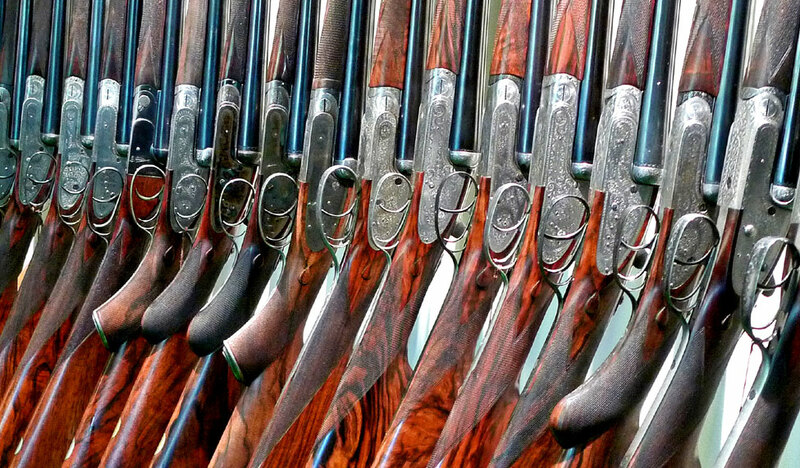 All guns are sold guaranteed, restored, cleaned and regulated in our workshop by London trained craftsmen. 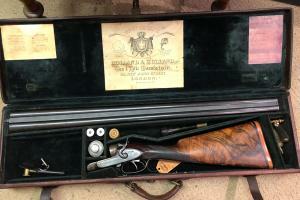 Try before you buy - guns may be tried on clay pigeons, with instruction and gun fitting if required. Action: Side lever, bar in wood best quality lockwork. 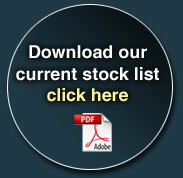 Fully engraved with finest scrollwork retaining much original finish. 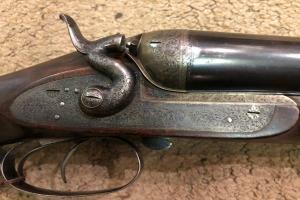 This extremely rare gun is in superb original condition throughout. Built c. 1891.